I really love the more stylish and chic Christmas decor, as opposed to over the top red and green tinsel kind of decorations. These prints are both festive and chic in their gold and white & chalk styles. Christmassy without being "too much". The "Joy to the World" print at the end is actually a free printable too! Just simple and awesome decos!!! Love this inspiring post!! 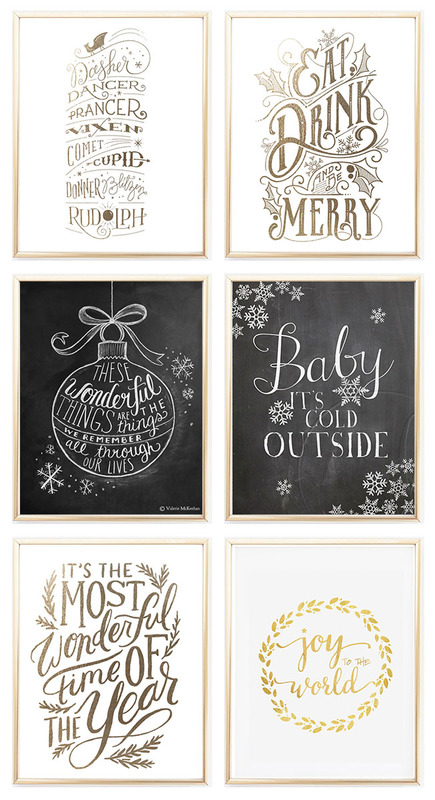 Thee are awesome, such a fun idea for Christmas to hang some festive prints! Fancy!